Calyces are found within the kidney and are part of the system which filters and drains the body’s urine into the ureter. The major calyx is contained from two or three minor calyces which are then divided into 7 or 14 smaller vessels. In the ureter, body fluids are moved to the bladder and, as necessary, eliminated via the urethra. When a person has caliectasis, the fluid reverses to the kidneys and urinary retention is observed. Over time, distension of the calyces occurs. 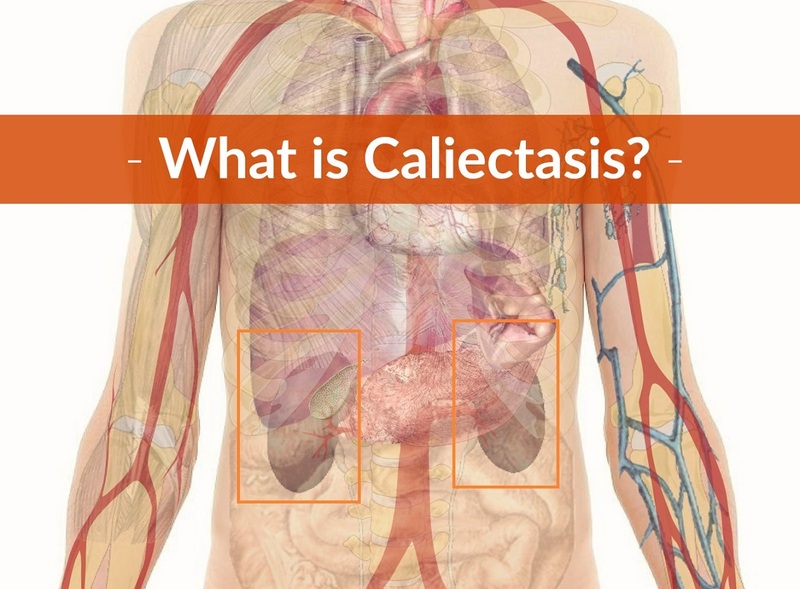 A patient with caliectasis is most frequently seen by a nephrologist (a physician specializing in the kidney and renal system) or urologist (or a physician specializing in the urinary tract). » Structural congenital malformations as the result of injury, radiation therapy, or surgery that may cause hydronephrosis. Patients often say it is difficult to urinate and may begin to pass blood in the urine. Presenting symptoms include painful and tender kidneys upon palpation. In some instances, the doctor feels swelling at the kidney site. 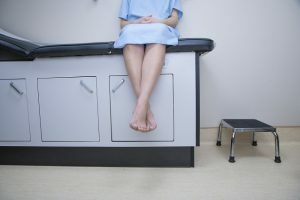 Because the patient may have a urinary tract obstruction, kidney infection or another medical condition, the attending physician usually orders an ultrasound test to confirm suspected caliectasis. In addition to ultrasound studies, the doctor may order an intravenous urography test. The patient receives an injection of special due that’s used with x-rays to visualize the kidneys and calyces. » If the patient has a higher than normal white blood cell count. Higher than normal leukocytes can mean the patient is suffering from an infection. » If the patient has an electrolyte imbalance. An imbalance in electrolytes could result from dehydration or other causes. » If the patient has elevated creatinine or urea levels. These levels measure kidney function. 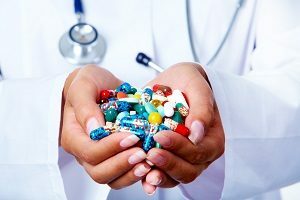 Too much creatinine or urea could reflect poor kidney function. Of course, the doctor will also order a urinalysis test to determine if the patient has blood cells in the urine. In other words, the patient might not present with concerns about visible blood in the urine. A higher than normal urinary pH can also happen if the kidney’s nephrons are terminated by distension. The physician may also order a CT scan if caliectasis is suspected. A physical examination is also essential. The doctor wants to rule out other potential causes of the patient’s symptoms. 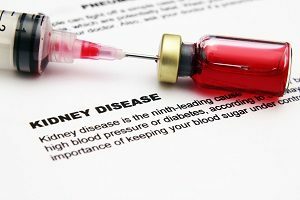 The patient may have a related condition called hydronephrosis, or water in his or her kidney(s). This condition is frequently related to caliectasis, so the doctor will need to perform additional diagnostic tests. If an ultrasound study shows the patient has swollen kidneys, the doctor will delve deeper to determine the specific type of condition. » Tests may show that dehydration is the root cause. » Otherwise, tests will confirm or deny the type of UT obstruction, including: acute; intermittent; or bladder flow. » Tests may show the patient has a ruptured urinary collecting system or that back flow (the spontaneous decompression of an obstructed system) is occurring. » Tests may show the presence of a staghorn calculus (which obscures the patient’s dilated collecting system). Diagnosis of caliectasis is more difficult if the patient presents with certain technical factors, such as obesity or overlying bowel loops. It is important to note that pregnant women may experience dilation of the renal collecting system. Dilation is most prominent at 28 weeks gestation. The presence of renal dilation can predict the woman’s risk of developing UTIs in the future but, most of the time, the pregnant patient doesn’t have caliectasis. After birth, postnatal hydronephrosis is frequently diagnosed based on symptoms, such as hematuria (blood in urine), kidney swelling, or pain. » Antibiotics are frequently the first treatment option, especially if the patient’s white blood count is upraised. The doctor prescribes an oral course for a certain number of days (and may order a culture in the interim). The patient takes the antibiotic course according to doctor’s directions. » Catheters are sometimes used when the doctor cannot easily explain urinary retention. If the patient’s symptoms include urination difficulties, recommending catheter use can ease the symptomatic pain. » Kidney drainage may be recommended if the doctor identifies any kidney stones blocking the patient’s urinary tract. Urine is drained to relieve pain and pressure. » A nephrostomy tube(s) may be used in some cases. The patient may need dual nephrostomy tubes if both kidneys are affected. The doctor inserts the tube through the skin and directs it into the kidney. Urine then drains from the kidney into an external collection bag. » Surgery may be required if kidney stones are too large or the patient has a malignant growth. If caliectasis is suspected, the doctor, nephrologist, or urologist will probably order additional tests. If the doctor has already confirmed caliectasis, waiting for a specialist appointment can cause worry and concern about what to do next. The patient should follow the doctor’s directions. Self-medication with herbal and over-the-counter treatments can cause more harm than good. Completing tests can take weeks or longer, so it’s important to take action if the patient experiences back pain around one or both kidneys, can’t void urine, or finds blood in the urine. This is an emergency. A discussion with the doctor can help the patient predetermine next steps. For example, the doctor may recommend that the patient call or page immediately if any of the above symptoms occur. Alternatively, the patient can go to the closest hospital emergency room for urgent care. When possible, the patient should bring copies of his or her patient records, patient/family medical history, medications list, and test results to share with emergency room staff. Diagnosing caliectasis can be challenging for both primary care doctors and specialists. Doctors must order tests and coordinate specialist appointments as part of the diagnostic process. Although the doctor may suspect caliectasis, he or she can’t diagnose the patient in the absence of diagnostic testing. Patients should reach out to the doctor with any concerns about back pain, swelling around the kidneys, or change in urinary or bowel habits. This is a serious condition and requires treatment. Caliectasis, if present, won’t resolve without medical intervention and treatment. Nasal Cellulitis – Why it Happens and What To Do About It?